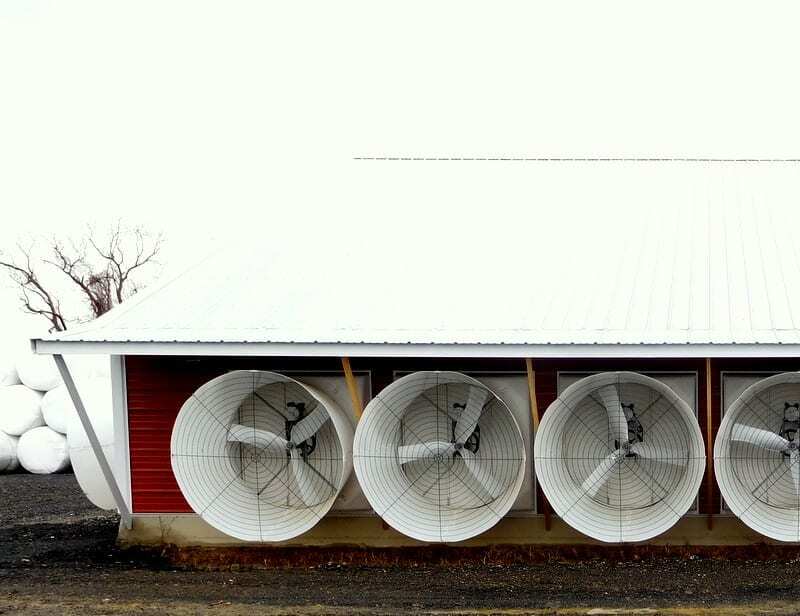 Humidity is the culprit for many of the respiratory issues found in poultry flocks. It amplifies the presences of ammonia and carbon dioxide and makes it difficult for birds to regulate their own body temperatures. Air quality is important especially during the colder winter months, when minimum ventilation is used to control incoming fresh air. Monitor ammonia: Birds are closer to the source, so if you can smell ammonia, they can too, and much worse. Air should look clear and feel comfortable: Hazy, thick, humid air is damaging to the birds and is often linked to health issues including respiratory problems and ascites. Bird behavior will tell you a lot about their comfort. Birds don’t use words, but they do communicate. Ideally, they will be evenly spread out in the barn, eating and drinking. Crowded areas, or too few birds at the feed or water lines, might tell you something. Static pressure is the key to adequate air exchange. Proper minimum ventilation keeps fresh air coming in to the house without creating cold drafts. Achieving the ideal static pressure will ensure that warm and cool air mixes before reaching the birds, that litter stays dry, and that the air quality is maintained.